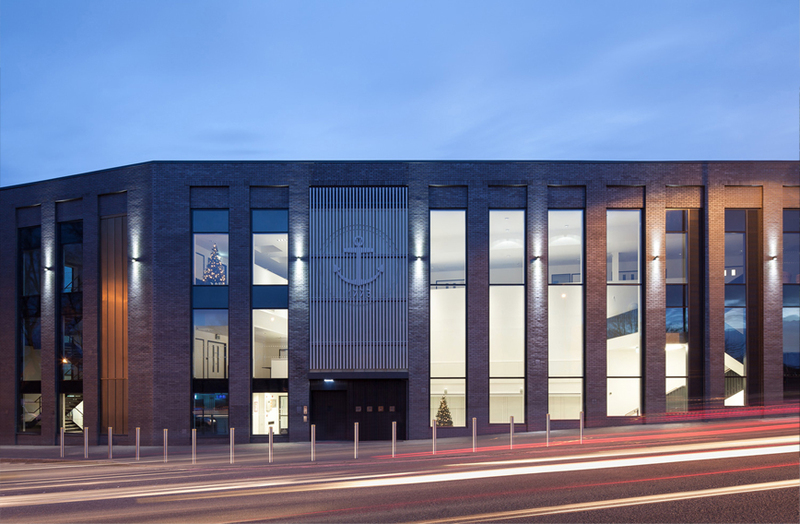 The brief for the new building was primarily to accommodate the three principle production processes of the Assay Office including Hallmarking, Valuation and Laboratory, all together on a single floor. Maximum physical observation throughout all of the processes was key to the design, given the nature of the work undertaken, dealing with precious metals and gemstones. 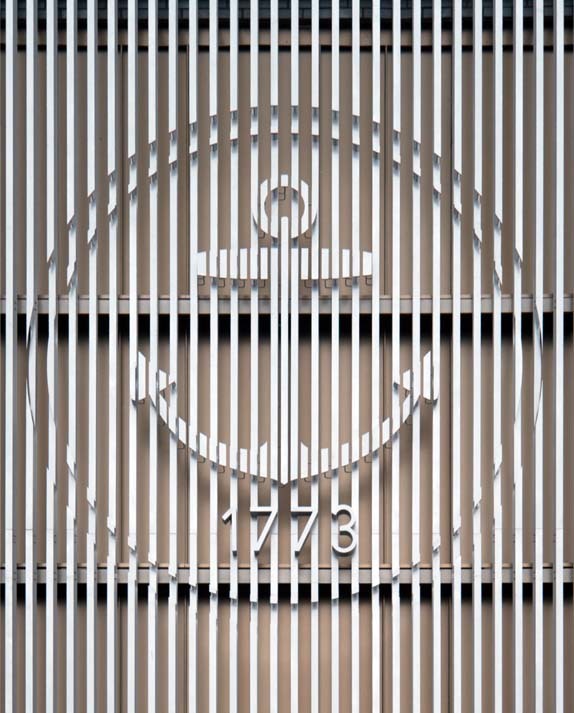 In addition, the building showcases a library and Silver Collection room, suitable for the display of the enormous archive of material gathered over 250 years and offers increased access to all. 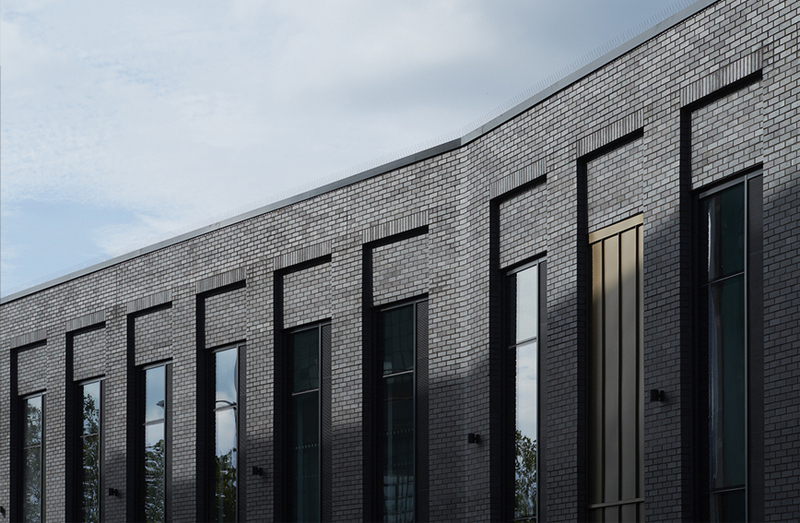 The building makes a strong statement to recognise the area’s industrial past within the Jewellery Quarter, and, following the rigorous local area Design Guide; it is primarily built using Staffordshire blue engineering bricks. Repeating modules of openings wrap around three elevations, punctuating the façade. Adding interest to this rhythm is the sloping ground level that allows the openings a differing proportion culminating in a further storey at the buildings principle entrance. 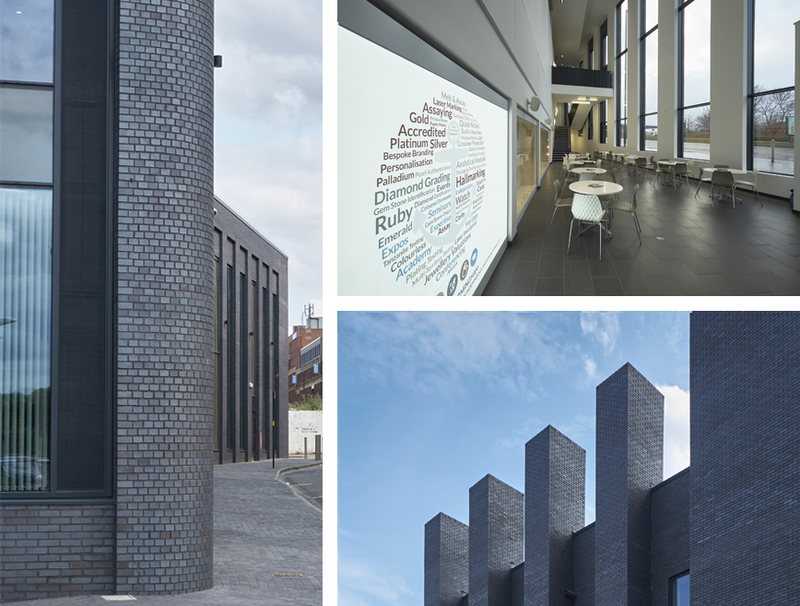 The building’s fourth elevation is the ‘yard’, where 4 towering brick chimneys celebrate internal processes.